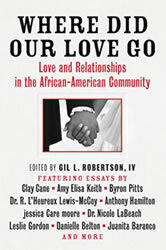 Gil L. Robertson IV is the editor of the bestselling anthology, Where Did Our Love Go: Love and Relationships in the African American Community. 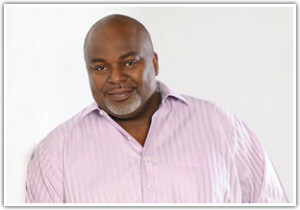 His earlier work includes the 2008 bestseller Family Affair: What it Means to be African American Today, (selected as “Pick of the Week” by Publisher’s Weekly) and the 2006 release, Not in My Family: AIDS in the African American Community, both nominated for NAACP Image Awards for Outstanding Nonfiction. He is also the author of Writing as a Tool of Empowerment, a resource book for aspiring journalists, and is a regular contributor to The African American Almanac (Gale Press). Robertson’s first Children’s book, Great African American Political Leaders (Just Us Books) will be released at the top of 2014. A veteran journalist, career Robertson has written over 50 national magazine covers and has also penned stories for the LA Times, the Atlanta Journal Constitution, Billboard, Essence and Ebony magazines. He is the founder and editor of the nationally syndicated Arts & Lifestyle column, the Robertson Treatment. Now in its 16th year, the column appears in 30 newspapers across the country boasting a readership in excess of 2 million. On television, Robertson has shared his expertise on topical issues for numerous shows that includes: CNN, HLN, MSNBC, E Entertainment and National Public Radio. He is also a popular national lecturer who’s speaks on issues that impact professional growth strategies and personal development. Robertson is a co-founder and President of the African American Film Critics Association (AAFCA), the leading body of Black American film critics and produces the annual AAFCA Awards, which has grown into an important event on the Hollywood Awards Calendar. Robertson earned a B.A. degree in Political Science from Cal State Los Angeles. He is a professional member of the National Press Club, The National Association of Black Journalists, The National Academy of Recording Arts & Science, The National Academy of Television Arts and Science and The Motion Picture Academy. Robertson is currently producing two documentaries based on his earlier works and is also an executive producer of the soon to be televised AAFCA Awards.